Most parents begin weighing parenting choices even before their first child is born. There are so many decisions to be made: natural childbirth versus medicated…breast or bottle…cloth diapers or disposable…co-sleeping, rooming in, or the crib…to stay at home or to go back to work…what style of parenting…when to introduce solid foods…when to vaccinate…when to wean. Intentional and thoughtful parents study all of their options, do research, consult trusted family and friends, consider their own faith, values, and unique circumstances, balance all of these many factors, and try to make the best and most informed decisions that they can. Throughout the toddler and preschool years there are dozens, if not hundreds, more choices to be made. And then comes…schooling! Will it be public school, private school, a charter school, a religious school, or homeschooling? In just the same manner as any other important parenting decision, intentional and thoughtful parents study, research, consult, consider, and balance all of their options to make the best decision that they can for their children. Unlike some other parenting decisions, how to educate one’s children is a decision that may last for a dozen years or more. It can affect everything from safety, to self-esteem, to health, to emotional and spiritual well-being, to faith, to quality of education, to individual talents and extracurricular interests, to friendships and future relationships, to vocations, to careers, and more. How to educate one’s children is arguably one of the biggest and most important decisions that parents have to make – if not the biggest. It’s personal, it’s important in the short term, and it has long-lasting consequences that can greatly affect a child’s future. For all of those reasons, it astounds me how strongly opinionated people are about the education of other people’s children. Homeschoolers, particularly, seem to attract others’ comments and questions in great number. From far-flung, seldom seen relatives, to random people at the store, to medical professionals, to people at church or in the neighborhood, to anonymous commenters online -- there is something about home education that emboldens outsiders to cross boundaries and to ask questions that, were the tables turned, would seem invasive at best and rude at worst. 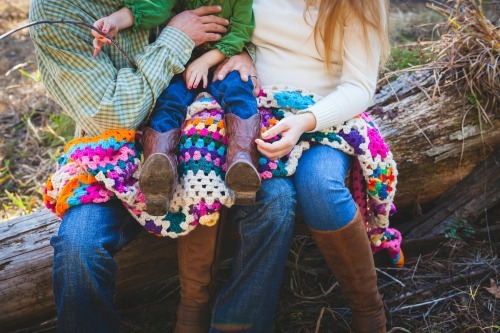 In society there are typically boundaries around others’ parenting decisions that, for better or worse, are usually not crossed (at least, not by polite and well-mannered people). Most would agree, for example, that it would be rude to confront a woman bottle or breastfeeding her baby and grill her on why she wasn’t using the other method. Or, that it would be offensive to confront a stay-at-home mom or a working mom about her decision to do so and then question her for not taking the other route. Or, that it would be inappropriate to offer one’s unsolicited two-cents on another mother’s decisions about weaning, diapering, napping, and so on. Likewise, education is also a parenting choice. It is one that’s just as important as any made within a child’s first year, and it deserves the same boundaries of respect, privacy, and courtesy that other parenting topics usually receive. Within our family, every decision that my husband and I have encountered since becoming parents has been made with some combination of research, consultation, deliberation, discussion, prayer, and sacrifice. All of our decisions have been made in the best interest of our children, within our family. My husband and I home educate our children – so we passionately, intentionally, and unapologetically choose that path. And yet, we also know and understand that our path is not the same as everyone else's. Homeschooling is one wonderful way to education children, and I wish all children could experience the many benefits of it. But I also know well that homeschooling is not possible, or even best, for all children. Prior to being a stay-at-home, home educating mama, I used my Master’s degree in a traditional school. I’m an avid reader, a follower of the news, and have had a long-term passion for causes helping marginalized and impoverished children. I don’t wear rose-colored glasses. The reality is that there are epidemics of poverty, hunger, neglect, abuse, addiction, exploitation, homelessness, violence, and injustice the world over, and that often those that suffer the most from these tragedies are children. Schools are havens for millions of children, places where they can be safe for a few hours a day. Teachers are on the front lines of these epidemics, serving as role models and providing stability, help, and compassion. There are millions upon millions of children who truly need schools in their lives, even as imperfect as some schools may be. Traditional schools are not just places for parents and children who have no other options. There are plenty of parents who purposefully choose school. Some parents choose traditional school because, “It worked for us -- we turned out okay. It’ll be okay for our kids, too.” Other parents choose traditional school because they believe in public education just as strongly as we believe in home education. Still others choose traditional schools because of the flaws that they see there, not in spite of them. These are folks who wish to have their families be forces of good and of change in their local schools. There are other families who would home educate if only they could. There are single, divorced, ill, and widowed parents who want to homeschool but cannot because of circumstances. There are families where one spouse wants to homeschool, but the other spouse is not in agreement. There are parents who are scrimping and saving together to make it possible to homeschool because though they want to, they just can’t make it happen yet. There are families who believe in other models of education. Some parents feel a strong fidelity to their church or alma mater and want their children to attend a school associated with their faith congregation or denomination, or to go to the school that they attended as children. Others may strongly believe in a particular method of education, such as Montessori or Waldorf or classical, and they might have a local school that ideally meets their needs. There are still other families who may have tried homeschooling for a season, given it their best effort, and found that it didn’t work for their family for one reason or another. Other families may have unique circumstances, such as a child with special needs, and they may rely on their local school district to provide more specialized resources than they are able to at home. And there are many families who juggle multiple traditional schools, or even a combination of traditional schools and homeschooling, in order to best meet the varied needs of their multiple children. The reality? There is not one perfect way to educate all children. And it is precisely for this reason that choice in education is a very good thing! Perhaps this is something that people with diverse experiences, backgrounds, philosophies, ideas, and expectations about education can all agree on. Education is a topic that people generally feel strongly about and perhaps that’s why there are so many different opinions about it. I’ve got my share of strong opinions, too. As a former classroom teacher turned home educating parent, I’m very much pro home education. But that doesn’t make me anti schools. It just means that my husband and I have chosen the educational path that we believe is the best for our children and for our family. Parents can choose a method of education for their children while still respecting the reasons or circumstances behind other families’ choices. There’s no such thing as a one-size-fits-all education anymore. Parents have the right to make traditional or outside-the-box educational choices in order to best meet the needs of their children. And all of the many different traditional school options should be able to coexist both with each other, and with home education. Ultimately, that’s a big part of being pro education, pro children, and pro educational excellence. We should all want what’s best for children in their own particular circumstances. 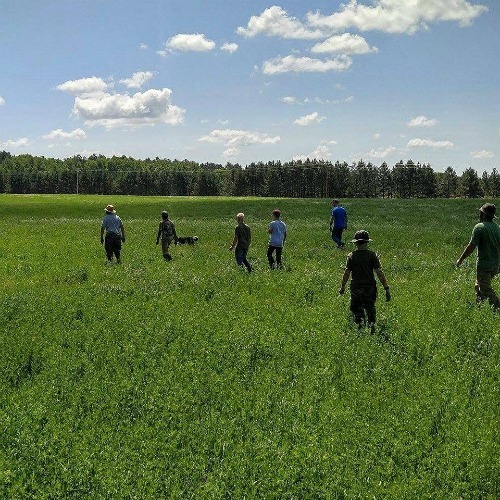 As John Holt, homeschooling pioneer, wrote so astutely, “People should be free to find or make for themselves the kinds of educational experience they want their children to have.” This home educator couldn’t agree more. 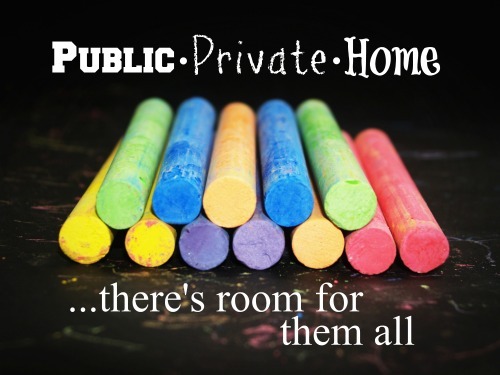 I'm another former public schoolteacher who is pro-homeschooling but not anti-public school. I agree that there is room for all kinds of education--and thank goodness for choice!!! Yes indeed! 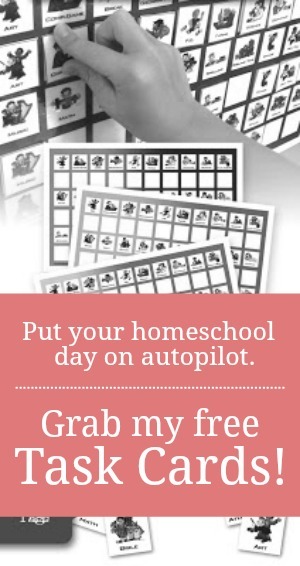 I'm thankful every day for the choice and the opportunity to homeschool!